Do you want free clothes for Roblox? Check out this complete tutorial that explains you step by step how to create amazing outfits for the game. "I'm a big fan of Roblox, and have many friends on the platform that play with me. This site allowed me to step up my Roblox fashion sense. I've made some outfits for the game that now have some of my friends eager for me to design clothes for their Roblox too!" "I found this tutorial to be super helpful. The instructions are all there, and easy enough to follow. If I had one complaint it would be that the page itself is cluttered and hard to navigate and may be offputting to some people." 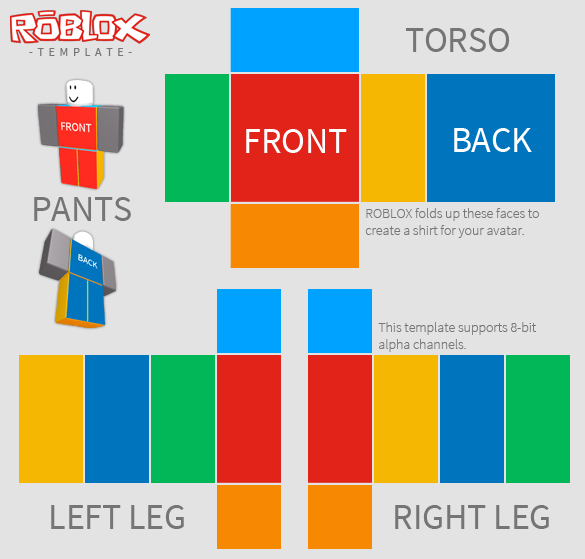 "I have been playing Roblox for a while now so it surprised me I had not found this outfit resource sooner! 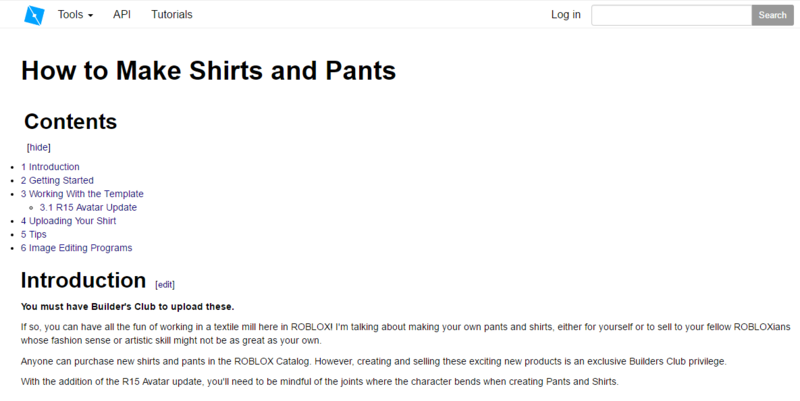 Try Roblox: How to Make Shirts and Pants for a great tutorial on creating outfits for your Roblox game. " "this WAS A GREAT WEBSITE SHOWING HOW TO MAKE SHIRTS AND PANTS. I WAS VERY INTERESTED IN THE WAY THE LAYOUT WAS DESIGNED. I DID THINK THAT IT COUL HAVE BEEN LAYED OUT JUST A TAD CLEARER AND WITH MORE BOLD POINTS TO MAKE CLEAR WHAT THE NEXT STEPS WERE." "Wiki.roblox. com is super useful for learning how to make Roblox clothes. All I had to do was follow the instructions. The website even has templates and a few tricks to help!" "This was a fantastic solution. I don't have to look for outfits now, I can design my own! Thank you for the great answer." "It explains how to combine. The free line isn't for real, the stuff is already available ingame." "Roblox's how to make shirts and pants tutorial is a great step by step guide in getting you started in building your character's outfits. It's a cleanly written and simple to follow guide for any level developer." "It shows what is done but it isn't very clear on how. It gives too many vague instructions for the reader to figure out on their own." "This is helpful if you want to purchase the tutorial. Otherwise it does not help much. " "This tutorial makes it simple to learn how to make a shirt. It's easy to follow. "